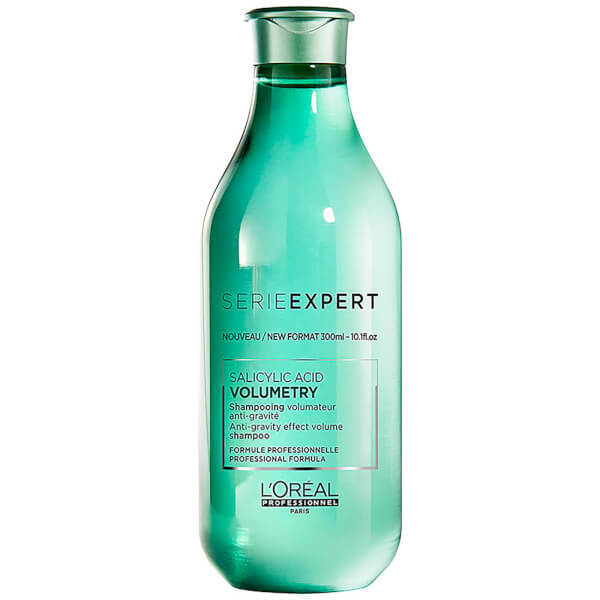 Enhance flat, fine hair with L'Oréal Professionel Serie Expert Volumetry Shampoo, a volumising shampoo that performs an anti-gravity effect to lift the appearance of hair at the root. Adding texture and volume without the weight, the clear shampoo contains Salicylic Acid to cleanse and purify, and Intra-Cylane™, an ingredient that expertly supports the hair fibre to leave it volumised at the root. 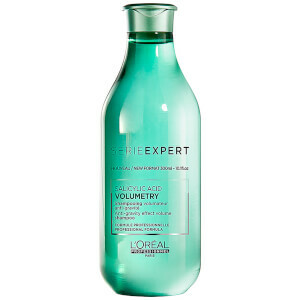 Nourishing and volume-enhancing, the formula will leave flat, lifeless locks full of body and bounce. Suitable for flat, fine hair.